A mix of traditional designs and contemporary styling, this Paisley cushion collection by amsons captures the soothing beauty of the traditional style. This cushion gives any room a stylish update. Adorned with an over scale paisley pattern with floral details, the trendy cushion instantly creates a bold new look in any bedroom. Matching quilt cover sets are also available. A captivating Oriental theme and cool contemporary color scheme makes the Emilia Rose Cushion into a sophisticated choice for the any room. Made from 100% cotton sateen for a beautifully soft feel and lustrous sheen, this Cushion features detail zigzag embroidery running on all four sides of the cushion. Matching quilt cover set is also available. Ring the changes this season with the Compact Leave Cushion. This cushion is made from sleek 280 thread count cotton sateen with a soft sheen and feel. The cushion print is a classic color scheme of blue on white, with a small scale repeat motif throughout. You can select matching quilt cover from our range. 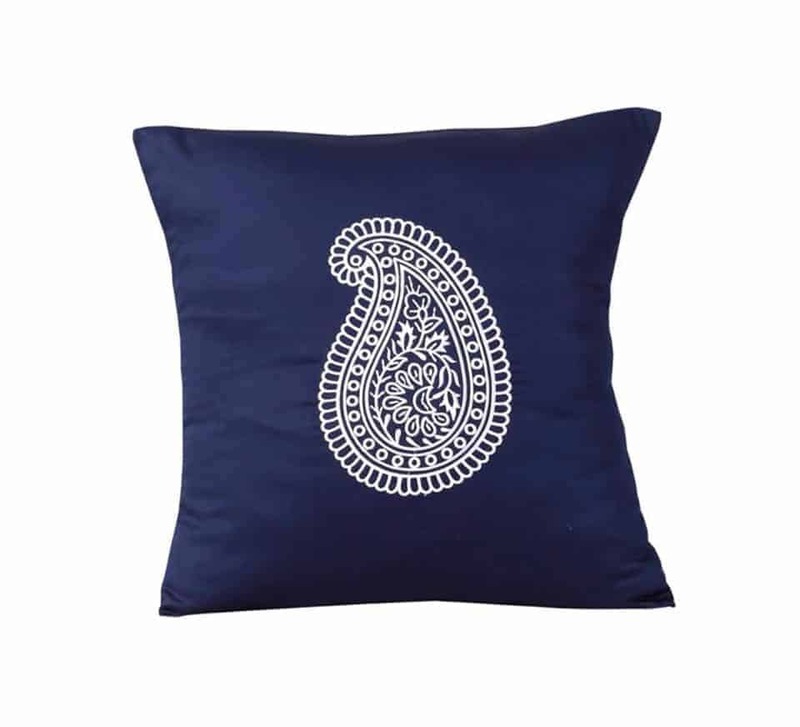 Dress a room in style with Fancy White Gold Embroidery Cushion. Adorned with small brown diamantés in crisscross pattern with a brown flower and a pearl in the center. This 100% cotton sateen TC 280 cushion is a classic design with a contemporary pattern to give you this unique ensemble.